adrienne maree brown is a 2013 Kresge Literary Arts Fellow writing science fiction in Detroit, Michigan. She received a 2013 Detroit Knight Arts Challenge Award to run a series of Octavia Butler-based writing workshops. Walidah Imarisha: Walidah Imarisha is a writer, organizer, educator and spoken word artist. She is the author of the collection of poetry Scars/Stars. Imarisha has also facilitated writing workshops, for students in grades three through twelve, in community centers, youth detention facilities, and women's prisons. 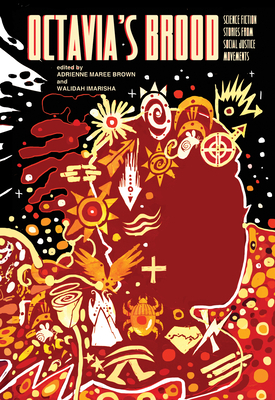 Adrienne Maree Brown is a 2013 Kresge Literary Arts Fellow writing science fiction in Detroit. She has also received a 2013 Detroit Knight Arts Challenge Award to run a series of Octavia Butler based science fiction writing workshops. Adrienne has helped launch a loose network of Octavia Butler and Emergent Strategy Reading Groups for people interested in reading Octavia's work from a political and strategic framework, and is building with Octavia E. Butler Legacy Network on other ways of extending Butler's work.